After school snacks should be fun for your kids to eat and easy for you to make! When your kids run in the door from school and say “What's for snack!” and settle into the routine of homework and snack-time– it's easy to draw a blank and reach for the box of granola bars or pre-packaged snacks. Unfortunately, most of these are just loaded with extra sugar. A high daily intake of sugar is associated with many of the chronic diseases that older adults and some children are now struggling with. Let's trade in packaged after school snack options for options that use whole foods instead. 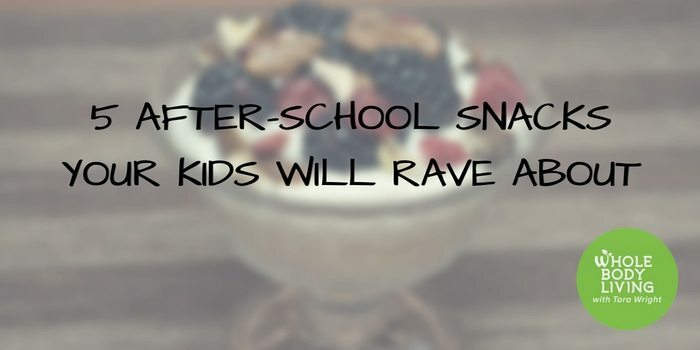 Here are five ideas for after school snacks that will make you and your kids happy. Cut up an apple into slices and drizzle with a no-sugar added peanut butter, almond butter or cashew butter. Sprinkle on a tsp of mini-chocolate chips or some raisins or dried cranberries for an added burst of flavor. Nut allergy? Pair the apples with a few slices of cheese for a delicious, crunchy treat. This is a kid-favorite in our house. Fill celery sticks with peanut butter and top with a few raisins. Nut allergy? Fill with cream cheese instead of peanut butter. Other options to make this snack include swapping out the traditional peanut butter for other nut or seed butters. Read the ingredients on the label and avoid hidden sugars! Mix things up with cashew butter, sesame butter, almond butter, hazelnut butter or macadamia nut butter. Combine a cup of full-fat cottage cheese with a peeled & chopped orange for a satisfying and delicious snack that can be whipped up in minutes. Slice open a hard boiled egg and sprinkle lightly with salt. Serve it with some carrot sticks, red pepper or cucumber slices. The perfect sized after school snack to tide your kids over until it's time for dinner! I enjoy making my own granola at home where I can control how much sugar goes in it. 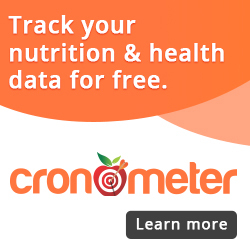 If you take a look at the label of a store-bought granola, you'll be taken aback by the amount of sugar hiding in there. We make a big effort to keep our kids sugar intake as low as possible. Making your own granola is a great way to do this. Furthermore, granola isn't just an after school snack! It's a great and quick breakfast for kids on-the-go. Granola is easy to make and stores well in an airtight container in your pantry. I've stored mine for up to 6 months without any problems. Make sure that you have baked it long enough that it's completely dry. If in doubt, freeze the extras and take it out of the freezer one small batch at a time. I am sure you have even more great after school snack ideas that you could share with us. Please comment and tell us what your favorite after school snacks are.